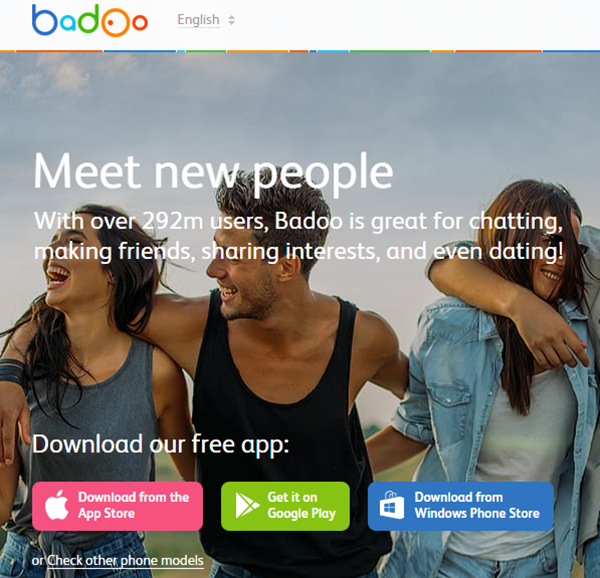 Badoo is a popular social networking service focused on dating, allowing users to meet new people. It works on both computers and mobiles. Users can chat, make friends and share interests wherever they go, whenever they want. Badoo operates in 180 countries and is most popular in Latin America, Spain, Italy and France. But you may meet a problem that Badoo block your account, even you create a new account, they also block it. It is possible that Badoo put a block on your IP address. You can use a special program - free VPN change your IP address to fix the problem. Users who do something against Badoo's terms would be block. You will find not only your Badoo account blocked, also can't create new account. That's because Badoo blocked your IP address. Besides, Badoo comes with a geographic block feature which can detect the users' location based on the IP address. It is blocked in many countries, especially on Middle East. Users in UAE (Dubai), Oman, Saudi Arabia, and others blocked countries need to change locations appear to the site/app. Download and install a free VPN, and connect to a free FlyVPN server. Once you have it installed try creating a Badoo account using the VPN. When you receive vpn data, you can get different IP, and make a new login from your device. If your IP blocked and need to create a new account, make sure you register with a different email address and of course a different user name. All of the information different would be the best. Apart from help solve the Badoo IP block problem, use a VPN reduces security threats when access social media site Badoo. When you sharing and uploading of personal photos and videos on Badoo, a VPN ensures reliable connection for the transfer of data without being hacked. A VPN service does all the encryption and decryption tasks on your behalf, making internet surfing easier.